It’s Friday and the last day of the week-long storms that keep passing through California. 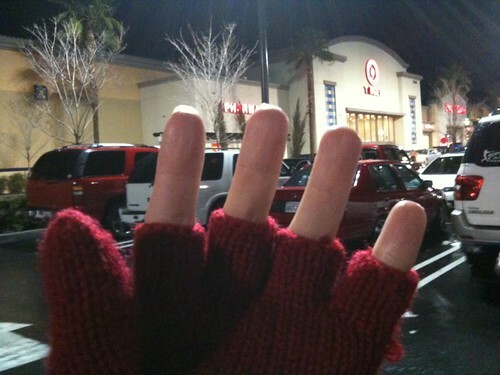 It stopped raining for the most part, so I went out for dinner tonight at Panera Bread, and stopped by Target to get a few things. I can’t tell you how happy I was when I walked down the candy section. Everything there was PINK and RED! And if you’re a Hello Kitty fan, there’s a ton of stuff for you to check out! 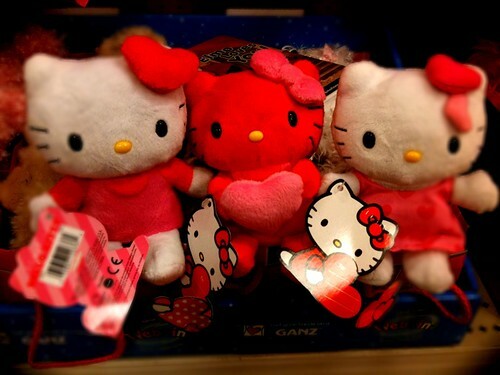 Aren’t these Valentine Hello Kitty dolls cute?